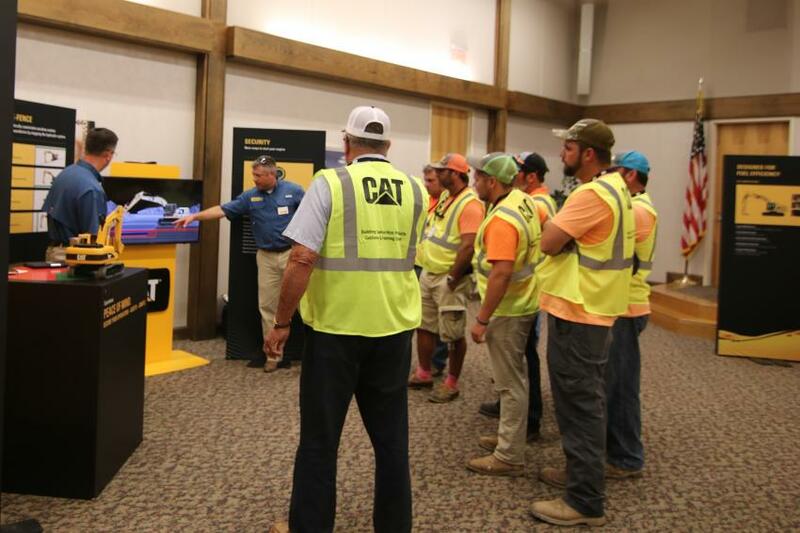 On Aug. 15 and 16, Gregory Poole hosted a Next Generation Excavator Event to showcase the new machines that Cat has to offer and the technology that now comes standard with these machines. 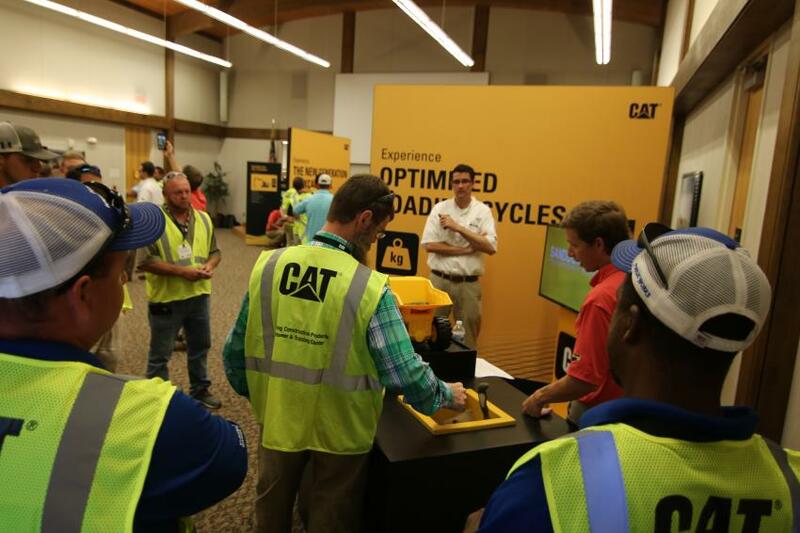 The event was held in Clayton, N.C., at Caterpillar's Visitor's Center. 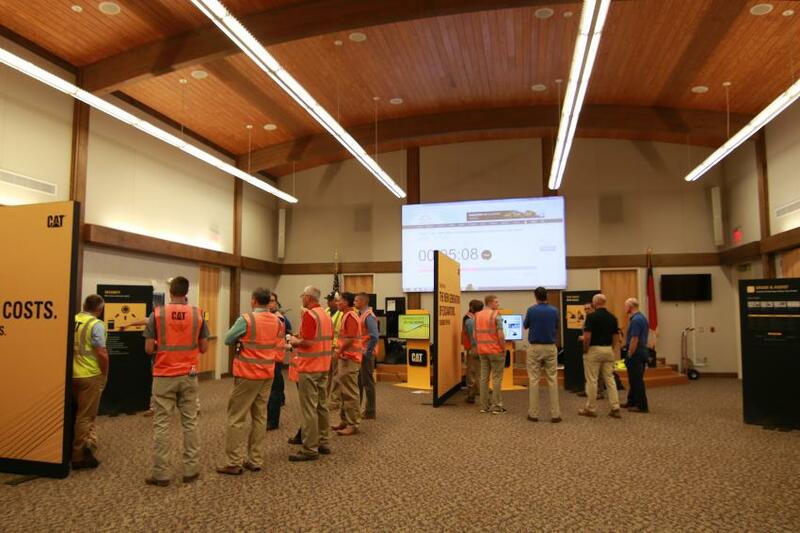 With more than 120 customers in attendance between the two days, the Gregory Poole team was able to demonstrate how these new technologies work and answer any questions that the customers had. 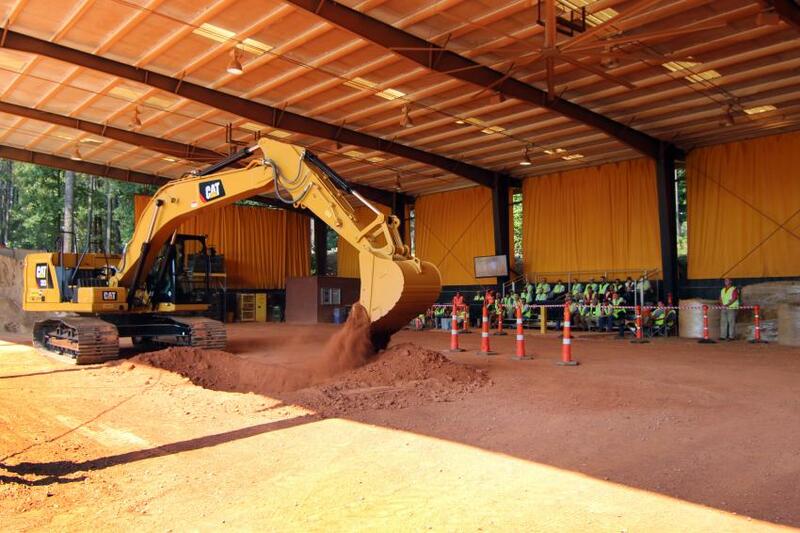 The event featured the 320 GC, 320, and 323 hydraulic excavators specifically, but made sure to recognize the whole line of excavators that Cat has to offer. 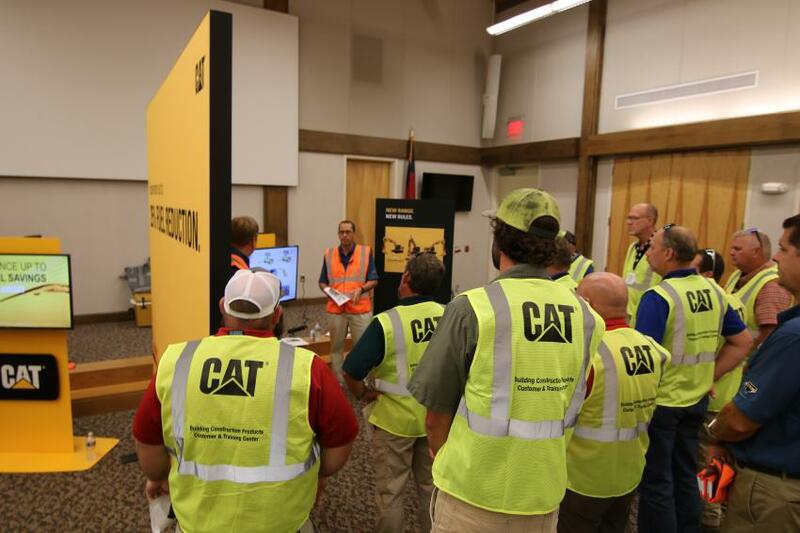 Representatives from both Caterpillar and Gregory Poole came together for break-out sessions and equipment demos highlighting the next generation technology and what it means for customers. 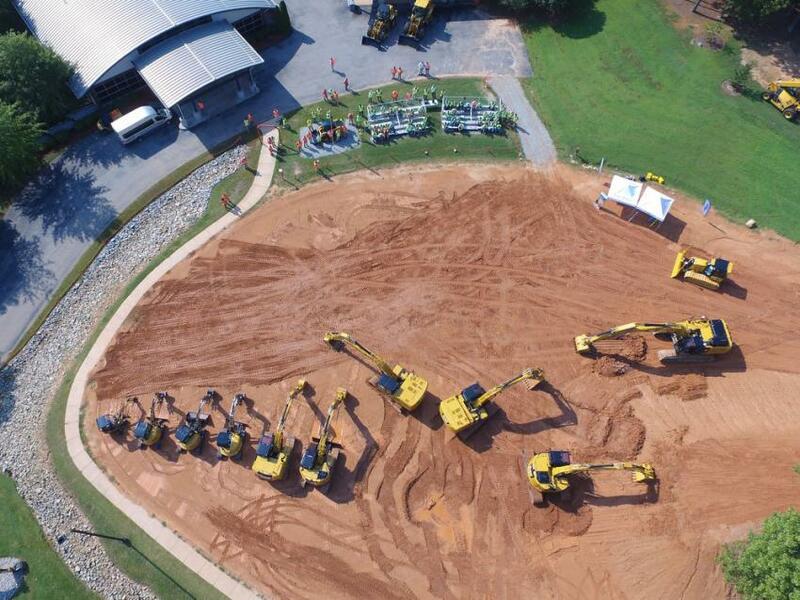 An overhead view of the excavator line demo area. 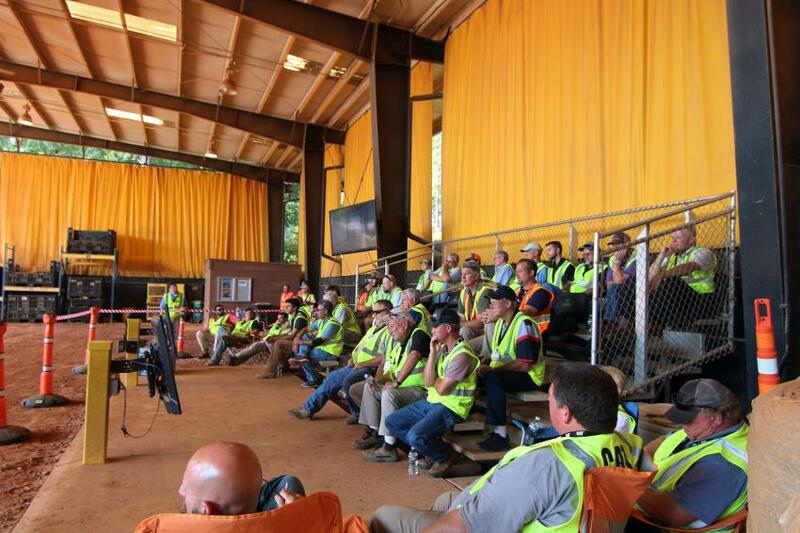 The Gregory Poole Equipment Company had team training the day before to prepare for event. 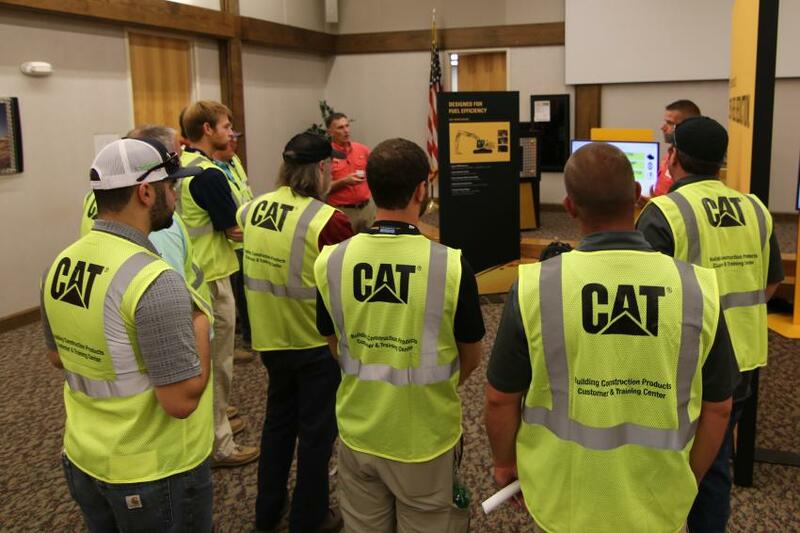 Caterpillar Representative Jay Ripp and Gregory Poole Sales Representative Josh Mann showed customers the benefits of the new payload technology. 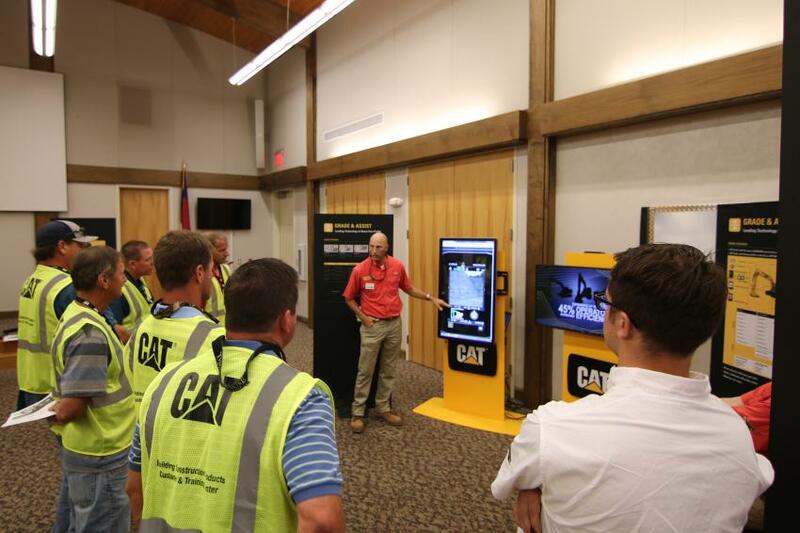 Sales Manager Rob Jackson demonstrated use of the Next Generation monitor inside the cab. Brian Metcalf and Brett Mireau taught customers how these new machines save fuel. Glenn Foley and Paul Calton showing the “piece of mind” the new E-Fence technology brings. Customers learning about the difference between the three new machines from Bill Dolbier and Brad Rinderer. 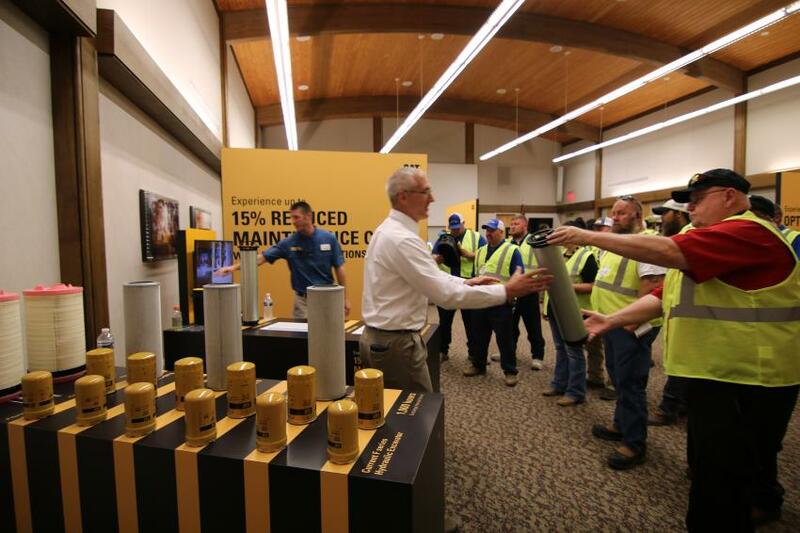 Michael Jennings from Gregory Poole and Dennis Gustafson from Caterpillar show the maintenance benefits of the New Next Generation Excavators. 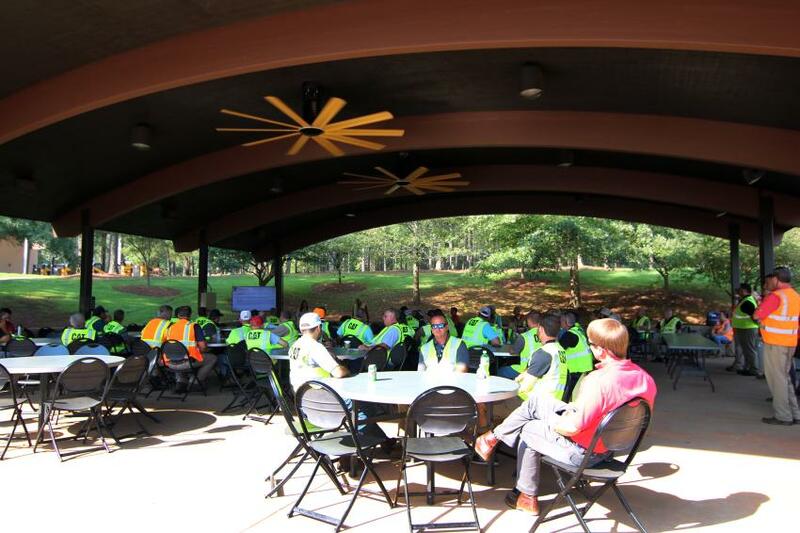 The event began with welcome and safety messages. 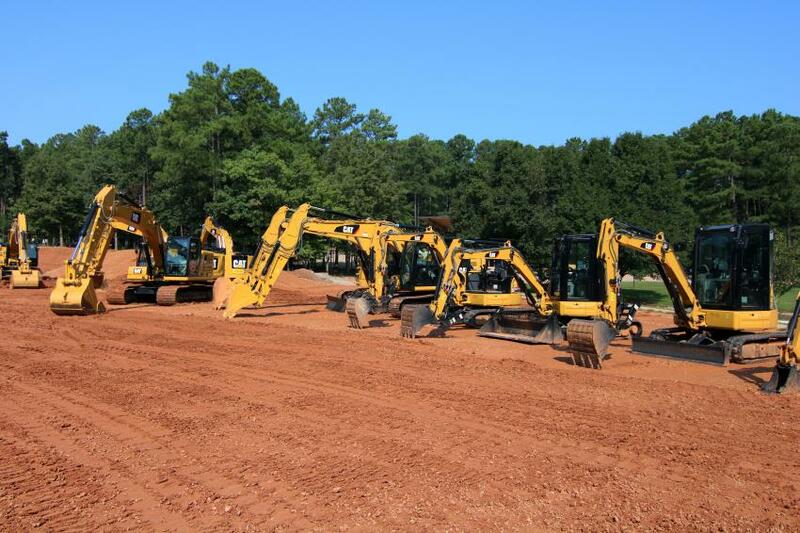 An excavator lineup was on display for customers. 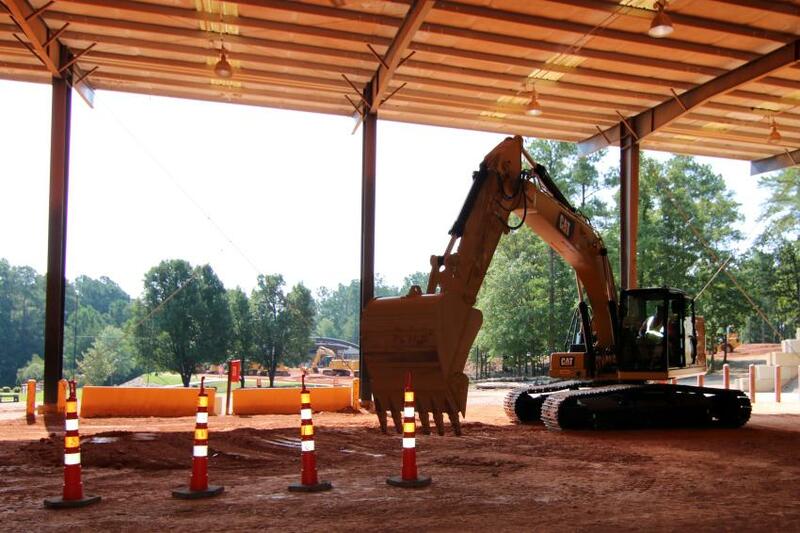 Gregory Poole’s Paul Calton shared some facts about the Cat excavator model lineup. 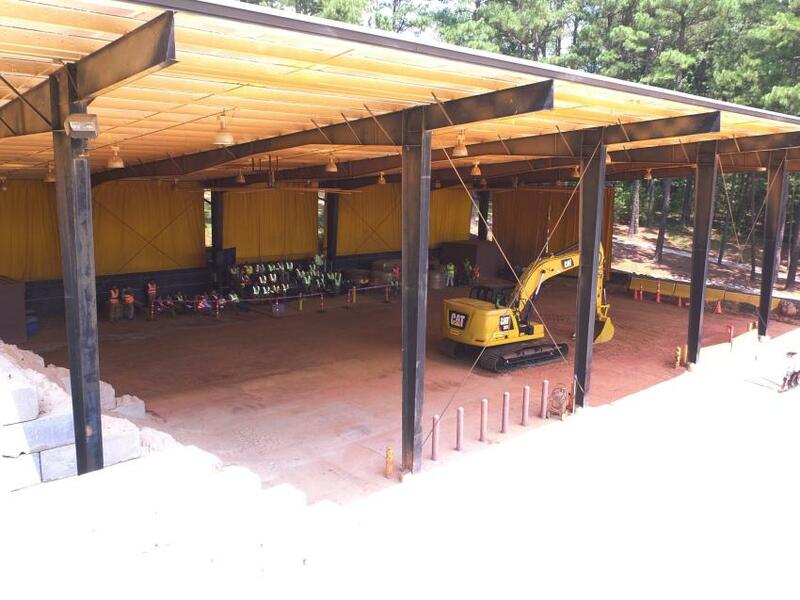 The Next Generation Excavator demo area. 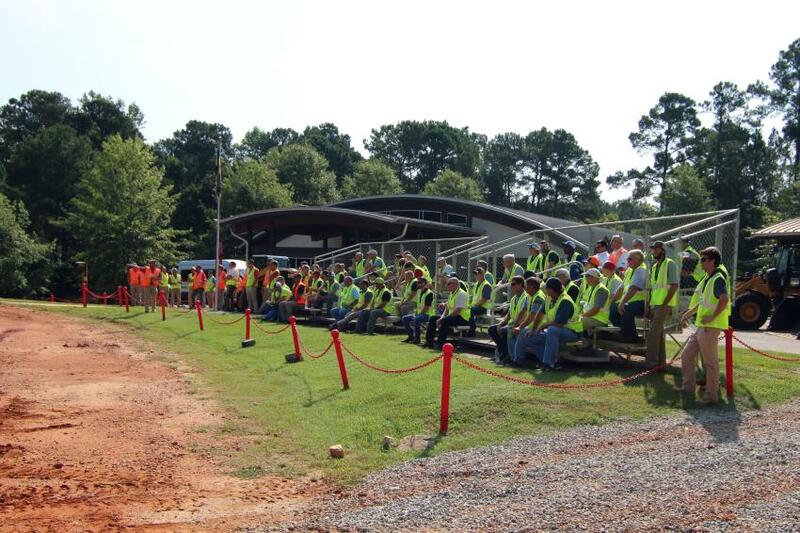 Gregory Poole operator and trainer Robert Perkins demonstrated the new E-Fence Wall feature. Customers were able to watch what was going on in the cab from a TV screen for the demo. Robert Perkins demonstrated the new standard payload features.